0% landfill: will Britain ever achieve this figure? When dealing with and disposing of waste within an organisation, in 2011 new guidelines were introduced that stipulated organisations should apply a waste hierarchy system so that waste would be disposed of effectively and efficiently. Scotland appears to be the first in the UK to head towards the 0% landfill target. By 2020, as part of their Zero Waste Regulations, Scotland have placed a landfill ban on municipal biodegradable waste. It is likely then that Northern Ireland and the rest of Britain will follow this trend soon after 2020. · Glass – this is melted down and then created into new glass products and containers. · Cardboard – This is recycled in a paper mill. · Plastic – This is recycled and made into new packaging. · Food – This waste is sent to be used as compost. Waste that cannot be recycled, rather than going to landfill, will be used in processes such as incineration and gasification. So that waste is properly monitored, and it is ensured that waste arrives at the correct facility, audit trails are established. This is because if the waste cannot be tracked to its final destination, then the 0% landfill guarantee cannot be attributed to that organisation’s waste stream. The only problem with this method of tracking is that it takes time and resources away from other work within the business. As a result of this, it is unclear how businesses across the UK, and around the world, will react to such stringent processes within the waste disposal process. How can business benefit from a 0% landfill target? When disposing of waste to landfill, the tax on this waste now costs £80 per tonne, as well as the fees that need to be paid to contractors. By recycling, this reduces the cost businesses have to pay to dispose of waste in landfill sites, as well as benefiting the environment within the process. Between 2012-2014, taxation as a form of reducing landfill waste appeared to work – as the total amount of landfill waste was reduced by 15% in two years, by over 5 million tonnes. In the future, increases in tax may help to reduce total landfill figures that stop businesses relying on landfill as a form of waste disposal. – Improved environmental performance. Organisations can contribute to positive change by helping to reduce and slow down the rate of climate change by ensuring waste is recycled. – Competitive edge. 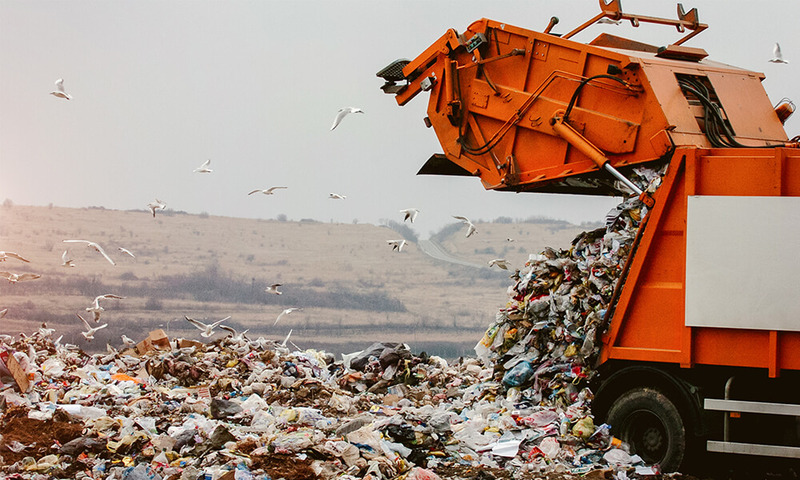 Businesses are at a competitive advantaged when paying lower landfill taxes, as other businesses may not be willing to make this commitment, limiting the possible net profits that they could make. – Positive PR opportunities. Businesses that are considered to be environmentally friendly, will inevitably gain a greater customer base that will improve their profits, as they will earn more respect and greater public appeal if they are seen to be less polluting. – Meeting legal requirements. By ensuring that they are contributing a percentage of their waste stream away from landfill – this ensures that businesses are remaining within legal guidelines. As opposed to a reality, the idea that large-scale organisations can achieve a 0% landfill target is more of a philosophy that businesses should strive towards. In order for this to be workable in the longer term, industrial processes, business models, materials, regulations and public infrastructures need to be improved for this to be everyday practice. However, this process need to be a two-way solution. This is because businesses need to eliminate the waste streams that come from suppliers, as well as making sure waste isn’t produced during the manufacturing process or when products and services are passed onto customers and clients.